Over the weekend, I had an opportunity to attend one of my favorite Klein Tools events during the year, the 25-Year Dinner. It’s a night where the company recognizes and honors employees who celebrated their 25th work anniversary at Klein Tools in the previous year. 25 years! Can you imagine? It says a lot about the dedication and loyalty of a person who is willing to work at the same company for a quarter of a century. This year Klein Tools welcomed eight new members to the 25 Year Club – all representing various divisions of the company: manufacturing, shipping, quality, and sales. We also had inductees from four of our seven US facilities – Lincolnshire, IL; Fort Smith, AR; Elk Grove Village, IL; and Mansfield, TX. They join an esteemed group. More than 100 employees have been welcomed into the 25 Year Club and 65 of them are still working! 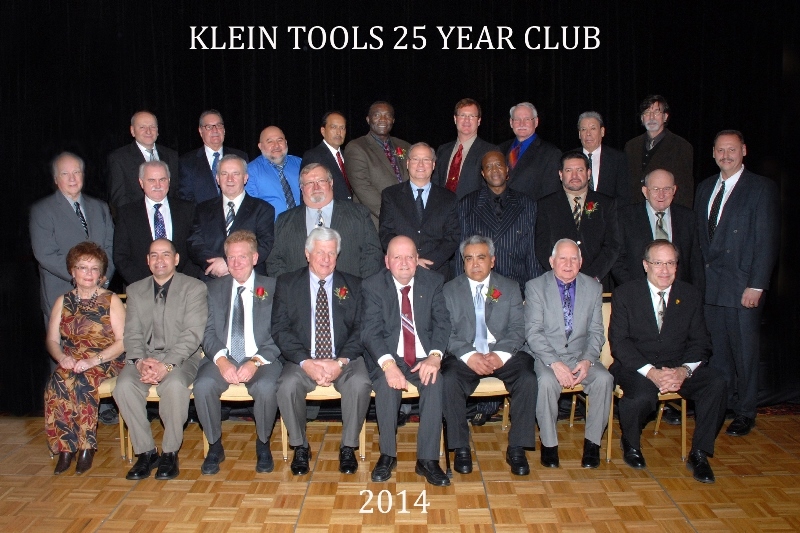 Many attended the 25-Year Dinner, and they too were recognized for the number of years they’ve worked at Klein Tools. Darryl Klein was one of them. He celebrated 47 years with Klein Tools in 2013, and he’ll celebrate his 48th work anniversary in June of this year! Then there is Francisco Salinas. 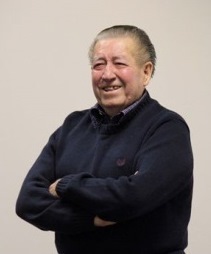 Frank retired from Klein Tools almost three years ago….after 60 years working for Klein. 60 years! He was hired at Klein Tools on January 25, 1951 as a plater and kept that same job until he retired just three days after his 60th anniversary. It’s safe to say that Frank is a one in a million kind of employee and a one in a million kind of guy. People who worked with him say he simply loved to work. Klein Tools has been very blessed to have the loyalty it has over the last 156 years; from the family who has owned and operated it for all those years, from the employees who have dedicated their energy and talents to helping it succeed, and from the customers who recognize and share the value of the tools we make.